Shears can be used to delicately obtain certain items, such as leaves, grass, and wool from sheep. 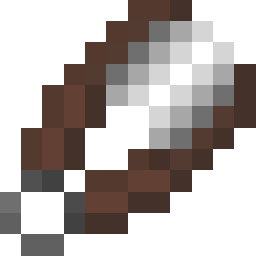 Shears are crafted using two iron ingots placed diagonally of each other. This recipe can be flipped. Shears can be used to break things like grass, leaves, and shrubs, dropping them as items. Shears can also be used to obtain wool from sheep by shift-clicking. This makes the sheep naked, however it will grow back its wool when it next eats grass. Shears can be used to carve faces into pumpkins, by shift-clicking. Every time this is done, it will change to the next texture, eventually looping back to the uncarved texture. This does not use up the shears' durability. This page was last edited on 4 July 2018, at 12:55.